It’s the final SwitchArcade Roundup before the weekend. I’ll finally have a little bit of free time to explore some games that have been in my backlog. (For my own enjoyment–I mean, for future SwitchArcade Roundups, of course! …Phew!) The end of the work week brings with it various updates to Nintendo-developed releases as well as indies. I also have some new releases for your weekend pleasure and all-new sales. (Be sure to check out the sales ending tomorrow at the end of this installment, fellow penny-pinchers!) However, before we get into all of that good stuff, let’s get into another type of good stuff–the Game of the Day! You may have played Toki Tori 2 on a previous platform, but the Nintendo Switch version changes (I SO wanted to say “switches") things up level and puzzle design-wise to make for a fresher experience. Some objects have been added or removed completely in puzzles, making it so you can’t use the same strategies you may have used in a past version of the game. But, I’m getting ahead of myself here. 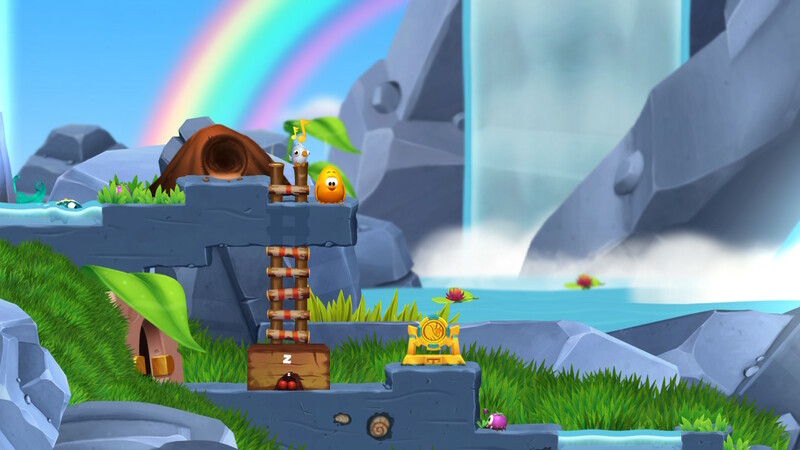 Toki Tori 2+ is significantly different than the original Toki Tori. 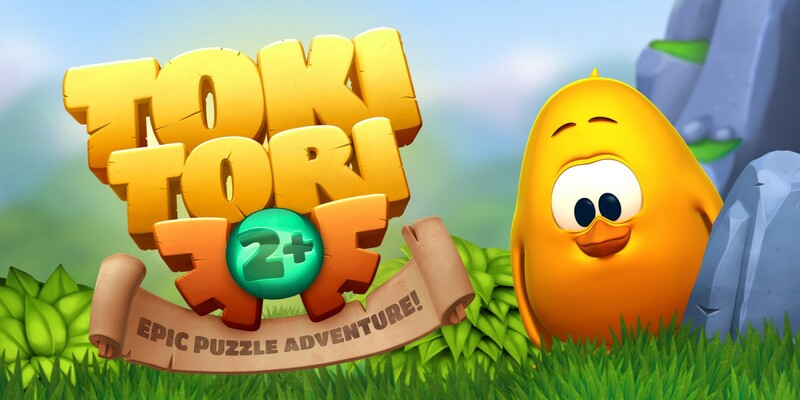 Whereas Toki Tori was a straight-up puzzle game with linear levels to solve, Toki Tori 2+ is a full on 2D open world puzzle-adventure game. It’s like a Metroid-styled game in structure, but all of your abilities are already yours. You can tweet and you can stomp. What you don’t have is the information to know how to fully utilize these in combination with the environment. If you play through Toki Tori 2+ normally, you’ll follow the path the game advises you to take. However, as you play through the game, you’ll learn how to interact with the environment and enemies in ways you didn’t even think of, as the game eventually reveals these to you, slowly but steadily. You can totally go anywhere you want pretty much soon after the starting area of the game, but starting off, you most likely will not have the knowledge to ascertain how to do so. 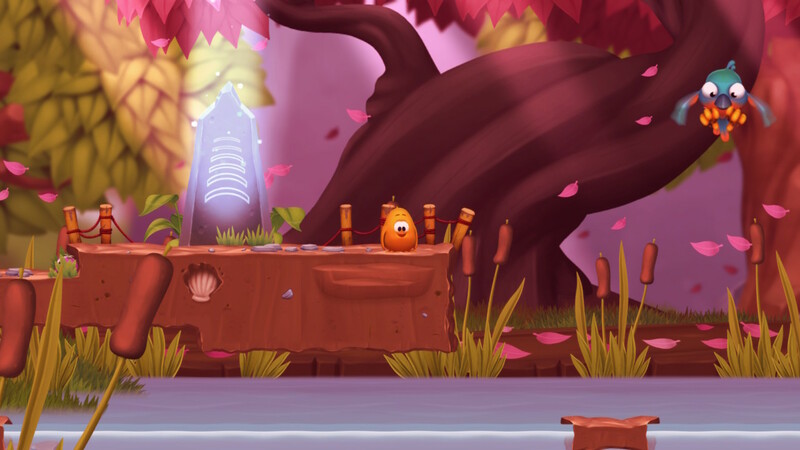 Returning to previously visited areas in Toki Tori 2+ with the knowledge on how to interact with pieces of the environment and enemies that you either didn’t know you could interact with or know HOW to interact with is quite the realization, and a darn fascinating one at that! Even with the proper knowledge right away, Toki Tori 2+ is a decent-sized adventure, offering upwards of 10-15 hours of gameplay for your first run. The 15 hour mark has the consideration that you’re collecting everything possible and completing the in-game achievements. Even if you aren’t, Toki Tori 2+ is a highly satisfying puzzle-adventure game that is adorable, charming, and an utter joy to play. Nintendo previously hinted at upcoming updates to its racing game that keeps on giving, Mario Kart 8 Deluxe. Now, that comes to fruition with the addition of new The Legend of Zelda: Breath of the Wild-themed content, all having to do with Link. Not only has a new character been added in Link in his Champion’s Tunic form, so have a new vehicle (the Master Cycle Zero from the Champion’s Ballad DLC), new tires with the Ancient Tires, and a new glider in the Paraglider. The patch, version 1.6.0, is available to download now for free, so what better way to return to some fast, frenetic and fun Mario Kart 8 Deluxe mayhem than with a new character and content? 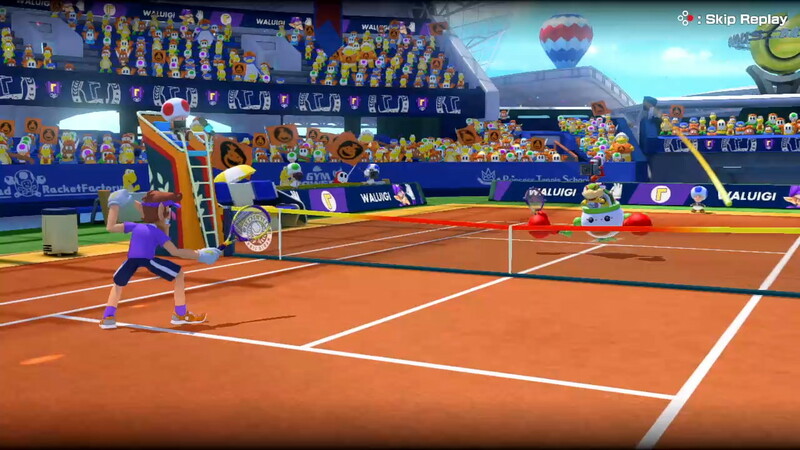 While we’re on the subject of Mario and sports, I originally posted the news during my inaugural SwitchArcade Roundup that Mario Tennis Aces would be receiving a much needed balance patch bringing some pleasant improvements to the game. Those changes arrived as of last night, and you can check out the full patch notes on Nintendo’s site. Such changes include making it so players don’t receive as much energy from successful Trick Shots, a greater energy penalty for late or missed Trick Shots, a shortened range and reach for Trick Shots, and other balance changes like alterations to that son of a jerk Bowser Jr. (As one commenter, Adam, noted this week, Bowser Jr. is always a son of jerk since he’s Bowser’s kid, and anyone who can’t take “no" for an answer from a woman and continually kidnaps her is obviously a jerk. Hence, “son of a jerk", hence “wow, that was really worth that long-winded explanation, Phil.") Nevertheless, I’ll have impressions of the new balance patch to Mario Tennis Aces sometime next week. Caution: Pokémon purists and old school fans might want to sit down… or stand up. Whichever makes you more comfortable to handle this news. In all seriousness, the more casual-friendly and accessible Pokémon: Let’s Go, Pikachu! and Let’s Go, Eevee! 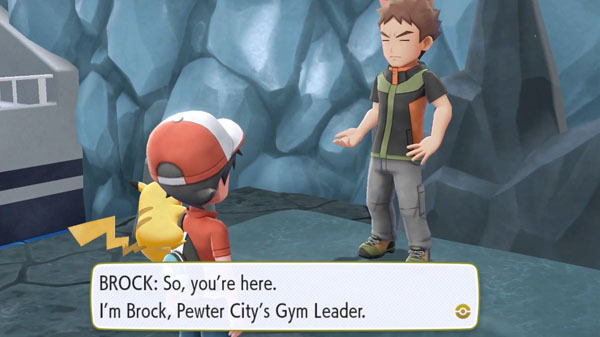 feature a new take on challenging each of the game’s eight primary gym leaders in order to earn their necessary badges for competing in the Pokémon League. The official Japanese Pokémon website states (thanks to the translation by Siliconera) that there will be some kind of prerequisite to complete before being given access to battle a Pokémon gym’s trainer. This ranges from having specific Pokémon types, to having your Pokémon at a certain experience level. I personally take this as a good thing conditionally, as if these requirements serve to act like little side quests, that could work out well. Otherwise, I could see an issue with players being forced to have their Pokémon leveled equally to a gym leader’s Pokémon, or forced to use the correct type–limiting the amount of options in making the games as hard or as easy as the player wants. 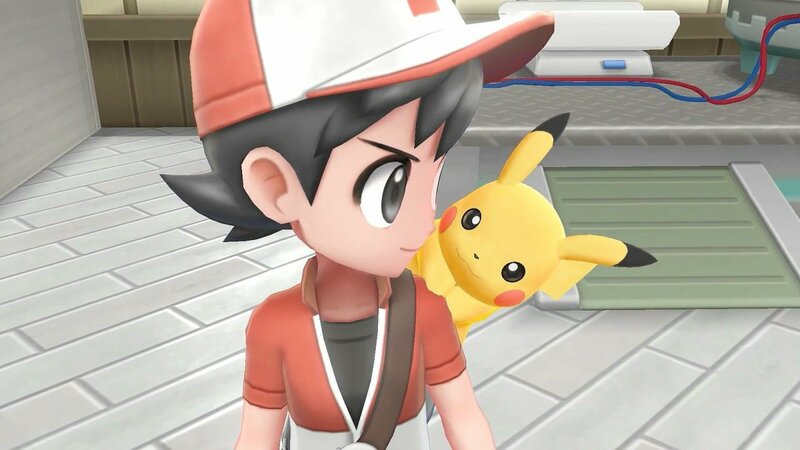 Still, Pokémon: Let’s Go, Pikachu and Let’s Go, Eevee are being creating with Pokémon Go players in mind, as sort of a “gateway" into the wild world of mainline Pokémon games. Let’s just hope it doesn’t dissuade long-time fans from enjoying this year’s duo of titles, or the series in general. While we’ve seen the eight Robot Master bosses included in October 1st’s Mega Man 11, the grand return of the Blue Bomber, via the box art for the game, we have only discovered three of their names. 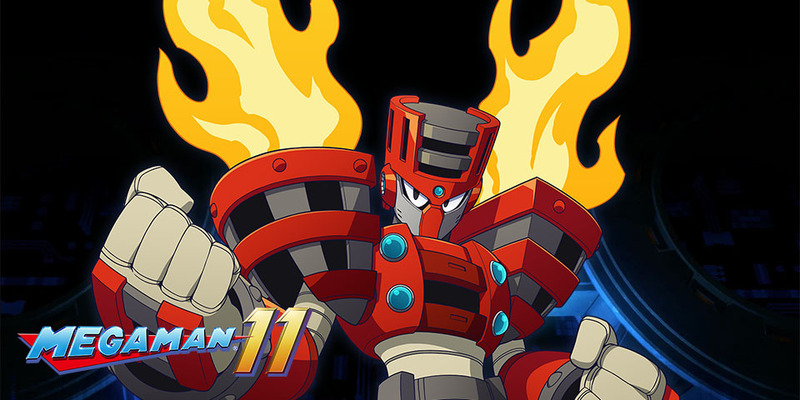 Now, we officially have the fourth Robot Master name announced with the addition of Torch Man, revealed at San Diego Comic-Con last night. His stage is set in a forested campground where he apparently used to practice and teach fire safety… that is until Dr. Wily got a hold of him to use him for his latest scheme. Long promised and finally in sight, Stardew Valley‘s update adding in multiplayer goodness to an already packed package has a new trailer for the update. Neither the developer or publisher have a detailed date for when the update will arrive for the Switch version, as all that has been revealed for a time period is “soon". I definitely believe it, however, as the PC, Mac, and Linux versions get the update on August 1st, so it’s only a matter of time for Nintendo’s platform to receive the same… and for Switch owners to lose even more hours from their life in cozy and quaint Stardew Valley. For those uninitiated, Brawlout is a platform-fighting game that takes great inspiration from the Super Smash Bros. series. Whereas Nintendo’s franchise has all-star characters, some of the most recognizable in gaming, Brawlout is mostly made up of original characters. That is, save for some familiar indie game all-stars. Joining the already included Juan from Guacamelee and Drifter from Hyper Light Drifter is the tag team duo of Yooka and Laylee from Playtonic Games’ own Yooka-Laylee. Watch the pair of partners in action and feast your eyes on their beautiful Tribalstack Tropics stage with this brand-new trailer. While it’s the PlayStation 4 launch trailer below, it still very much applies to the Switch version. Specifically talking about the Switch version, Angry Mob Games mentioned that Brawlout has over 150,000 players to date. Switch owners are sure thirsty for some Smash! I’m having deja vu. Didn’t I talk about this game already? It seems like it was only yesterday… Oh! That’s because it WAS only yesterday! Heroki was the SwitchArcade Roundup’s Game of the Day, and I hope you were able to take advantage of the pre-load sale, but even if you didn’t, the extra three or so dollars for the post-launch price is more than worth it. 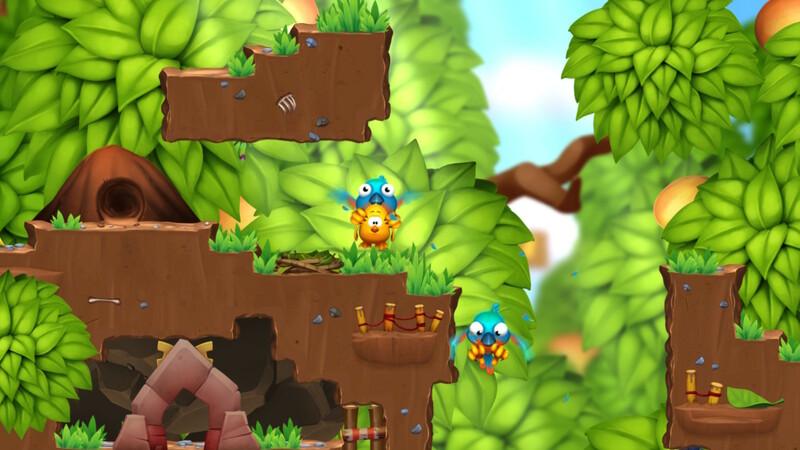 Take flight in a variety of colorful maze-like levels, dispatching enemies by chucking boxes and boulders at them, gather well hidden collectibles, and interact with the environment in order to reach each level’s end. For a game with plenty of charm and few frustrations, Heroki is once again recommended by yours truly. The developer of VSR: Void Space Racing, SONKA, promises much more than a typical, bog-standard futuristic racer. Take flight through the vastness of space in a multitude of galactic locations, all the while having no friction to speak of (making moving your spaceship much more difficult than it otherwise would be–but in an enjoyable way). While online functionality is limited to high score leaderboards, local multiplayer of the split-screen variety is available in VSR, as is a robust single player mode with the ability of unlocking new content in the form of new courses, locales, and spaceships. Pair all of that with a relatively low asking price, and VSR: Void Space Racing surely does seem to be more interesting than “a typical, bog-standard futuristic racer." “There’s nothing to sphere but sphere itself." That’s how that quote goes, right? I think a famous mathematician said that: Dr. I. Sosceles. At any rate, Spheroids is a platformer where you play as a boy with his weapon of choice, a drill gun, that doubles as a hook shot and anchor point to swing off obstacles. The game contains 32 unique levels spread across multiple locales, offering environmental variety to go along with the gameplay variety on offer. Spheroids was previously released on other platforms, even Nintendo’s own Wii U, but now it makes its round presence felt on the Switch today. In 1981, Nintendo released a little known game (because it only released in Japan until now) called Sky Skipper, where you fly a biplane, evade the enemy’s offense, do some attacking yourself with your arsenal of bombs, keep an eye on your fuel gauge, and rescue four animals from captivity. The order in which you rescue the animals determines how many points are added to your high score, so stay high, fly, and survive! Looking for pinball? Let me correct myself there–looking for MORE pinball? The Nintendo Switch eShop is home to a wide assortment of pinball games and tables, and Werewolf Pinball adds to the ever-expanding list with its reproduction of a pinball cabinet. What secrets are hiding in this spooky table? Are you chicken enough to find out?! Wait. I already used that line for Chicken Assassin: Reloaded yesterday, and it absolutely makes zero sense in this context. …Well, then… are you hungry like the wolf to play this game? Nailed it, Phil. Nailed it. It’s the final full day of LEGO-related game sales, with some titles being half off their usual price. If you had to choose one game, definitely check out LEGO City Undercover. For my take on this open world delight, check out Wednesday’s roundup in the Game of the Day section. The weekend has arrived, so keep your Joy-Cons charged and your Switches entertained with great games!